Speaker Paul Ryan slammed Donald Trump last week after the businessman proposed to temporarily ban Muslim immigrants from America after the San Bernardino attacks. ** A plurality of Americans supported Donald Trump’s plan. 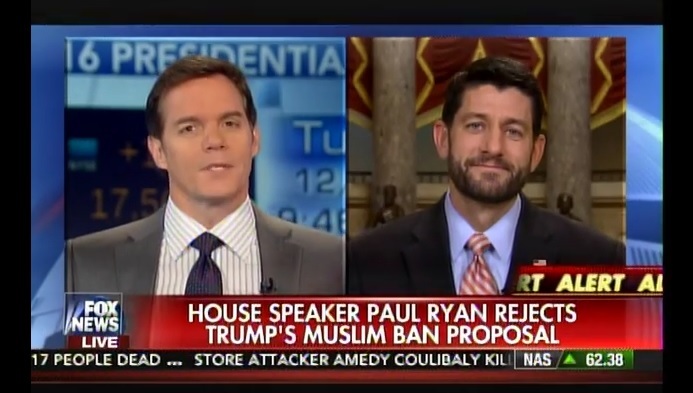 On Tuesday Paul Ryan was asked to expand on his refused to bash Donald Trump on Tuesday in his first interview since bashing Donald Trump last week for proposing a temporary ban on Muslim immigrants to America. Paul Ryan was asked if Donald Trump’s campaign was good for the GOP. He refused to answer the question. Speaker Paul Ryan: Look I think this is a healthy primary process. We got great candidates running. 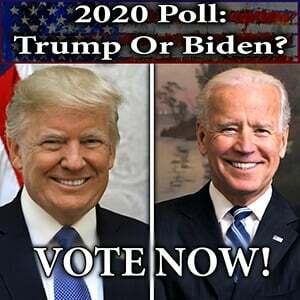 I trust the Republican primary voter to deliver a very good nominee for us so we bring a unified conservative movement Republican party thought 2016 and offer the country a very clear choice.